Mother Teresa of Calcutta was a Roman Catholic Sister and missionary who founded the Missionaries of Charity. Members adhere to the vows of chastity, poverty and obedience as well as a fourth vow, to give “wholehearted free service to the poorest of the poor.” Mother Teresa was the recipient of numerous honors including the Nobel Peace Prize. 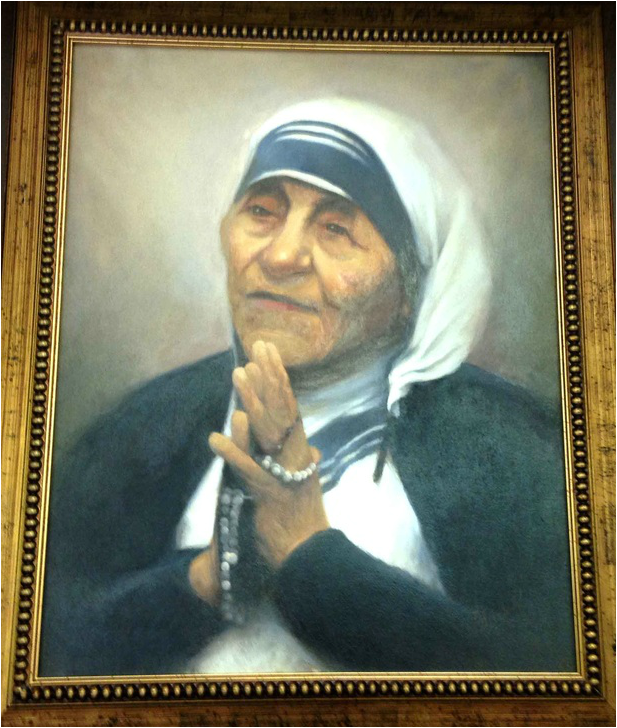 In 2004, she was beatified as “Blessed Teresa of Calcutta.” A second miracle is required before she can be recognized as a Saint by the Catholic Church. She is the inspiration that ultimately led to creation of this Museum of Spiritual Art.